(View this review on My Library in the Making. 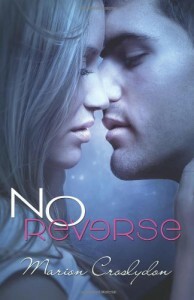 )No Reverse is one of those books that had me at the blurb. It sounded so unique and mysterious, and I knew I just had to read it. Unfortunately, it's left me underwhelmed.The first problem I encountered in this book was the main characters. They were both indecisive and grudging, and they kept pushing then pulling each other, but let me discuss them in detail.I don't like the choice that Cassie made years ago because she really should have trusted Josh to know what he wanted, but at the same time, I understood why she did it. 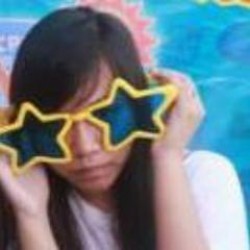 It was stupid but selfless of her. Ugh, go figure.Josh,on the other hand, was said to be this perfect guy, smart, ambitious, driven, blah blah blah, but I never really saw that brightness. He was actually reckless most of the time, but he had an undeniably good heart. And I pitied him when Cassie finally told him the truth—a truth that's not very hard to guess, but I'll keep my mouth shut anyway.Apart from the main characters, the secondary ones shined. They were infinitely more interesting, particularly Josh's and Cassie's other love interests, and no worries because they'll be getting their own books. Or at least Sam will.Even though I wanted to thump the MCs on the head a lot of times, I still enjoyed No Reverse, and that's saying a lot because my liking of the characters usually determines my enjoyment of a book. But what did this book in for me was the ending. It was so abrupt and solved almost nothing. I'll check out the sequel for sure, but I won't be rushing to do so.MY FAVORITE PART is Josh and Big Fat Spoiler's touching first meeting.